Food Day is an annual event on Oct. 24 that inspires Americans to change not only their diets but also our food system. But for hospitals in our network, it’s Food Day every day. Food service directors, chefs, nutritionists, and other hospital leaders who are taking action to source local and sustainable ingredients, serve more plant-centered meals, and reduce food waste are working to build and support strong local food systems and economies, increase the health and well-being of those they serve, and reduce their impact on the planet. 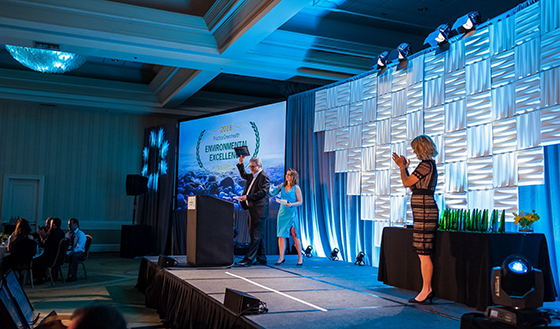 Leaders gathered at the Global Climate Action Summit in September in San Francisco, where representatives from food service, health care, and cross-sector collaborations demonstrated how food action is climate action. 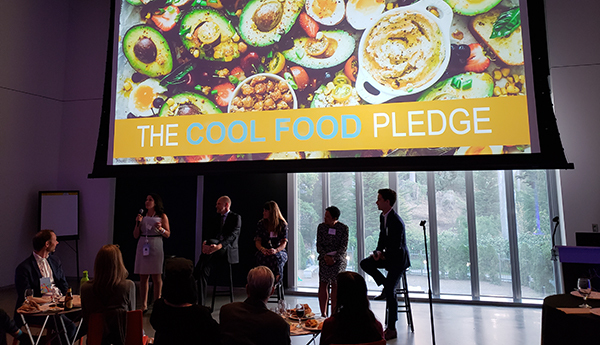 A group of dining providers – including hospitals – serving 60 million meals annually joined the Cool Food Pledge to serve delicious food while slashing greenhouse gas emissions. Four years after the water crisis struck, Flint, Mich., residents still worry about the quality of their water. The tragedy galvanized community health organizations, breaking down silos and aligning need with opportunity. 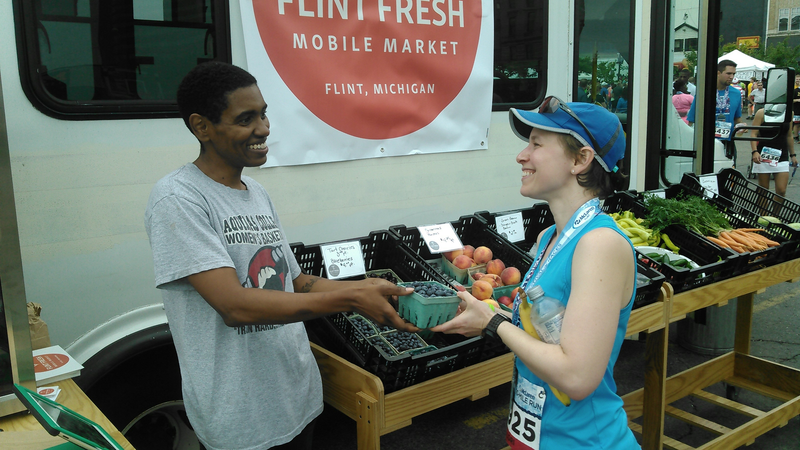 Now, hospital-supported initiatives are helping Flint residents recover, focusing on the healing potential of food. Hospitals from across the country submitted their best delicious and healthy recipes to the Health Care Culinary Contest. Eight exceptional recipes rose to the top, linking the health of people and planet by incorporating a wide variety of ingredients that were healthy, plant-forward, locally sourced, and third-party sustainably certified. What do you do with 800 pounds of “ugly” apples that aren’t considered retail-quality due to their appearance? You make a co-branded applesauce and an innovative partnership that benefits farmers, hospitals, local food businesses, jobs, and the planet. 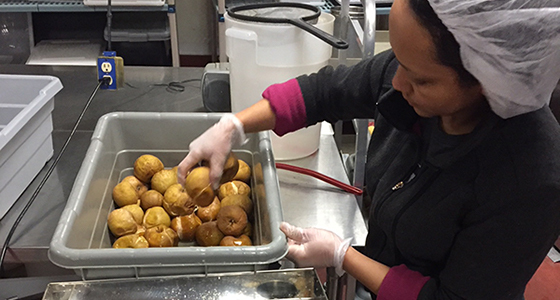 Boston Children’s Hospital, a Practice Greenhealth member, teamed up with CommonWealth Kitchen, a food business incubator, to serve apple and other sauces made from surplus produce rescued from local farms to their patrons. Where’s the beef … and pork too? Practice Greenhealth members average more than 30 percent of their meat and poultry purchases raised without antibiotics. 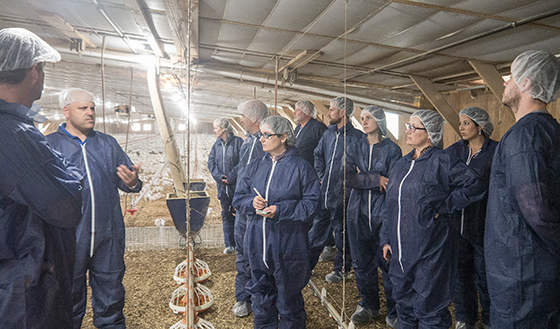 A group of health system leaders toured Purdue Farms as part of their efforts to collaborate with supply chain representatives on identifying solutions to sourcing sustainable meats. 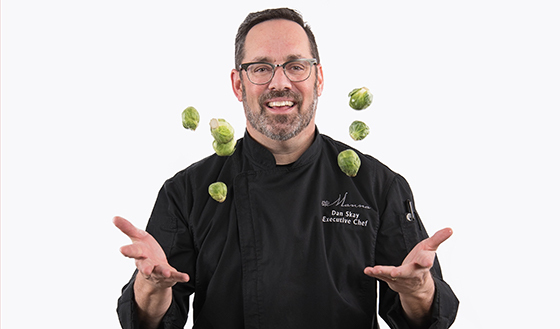 Dream teams made up of physicians, nurses, chefs, dietitians, food service directors, and sustainability managers at hospitals across the country are working together to source and serve hospital food that is healthier for people and the planet such as meats raised without routine antibiotics. 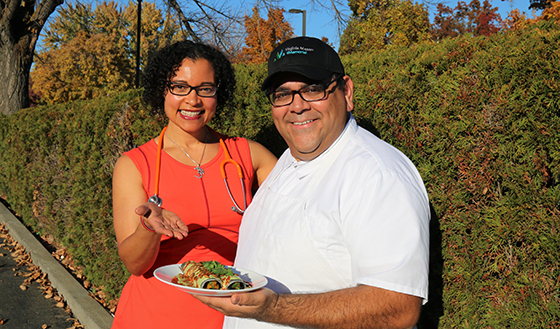 Last October, competition in the Health Care Culinary Contest was just starting to heat up, and Chef Dan Skay at Castle Rock Adventist Hospital, a Practice Greenhealth member, was ready to cook thanks to the facility's garden-to-table restaurant. This story inspired hospitals everywhere to submit their best recipes.